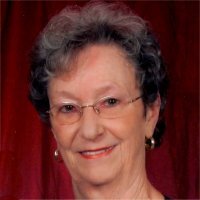 Frances Roberta Crabtree, nee Fischer, 86, of Belleville, Illinois, born Tuesday, November 22, 1932, in Pana, IL, passed away Tuesday, January 29, 2019 at her residence. Memorials: Memorials may be made to the Shriner’s Hospital for Children or Elks Lodge #664. Visitation: Visitation from 4:00 pm – 7:00 pm, Thursday, January 31, 2019 at Kurrus Funeral Home in Belleville, IL. Funeral: Funeral Services will be held at 10:00 am, Friday, February 1, 2019 at Kurrus Funeral Home, with Father John Iffert officiating. Interment will follow at Lake View Memorial Gardens, Fairview Heights, Illinois. Heaven just got another angel!! Love my aunt berta. Truly sorry to hear of Aunt Berta passing. Tho I know she is in a better place and visiting with her sisters the heart break the family feels is no less. Praying God wraps his arms around all and lessens their grief. May God bless you and grant Roberta eternal rest and peace. Our deepest sympathy to all the family. Prayers being said for all. May God bless you and your family. You will have many surrounding you in heaven. Sharon and I send our prayers and sympathies to Sue and the family on the passing of their Mother, sister and aunt. May she be granted peace and all blessings in the arms of our God.